Please have your iVenture Card present. Cool off with a splash in front of the stunning Burj al Arab at Wild Wadi Waterpark™ ! With 30 rides and attractions for the whole family to enjoy, this is a fun way to take a break from the heat in Dubai. The park is themed around the tale of Juha, a known character of Arabian folklore. 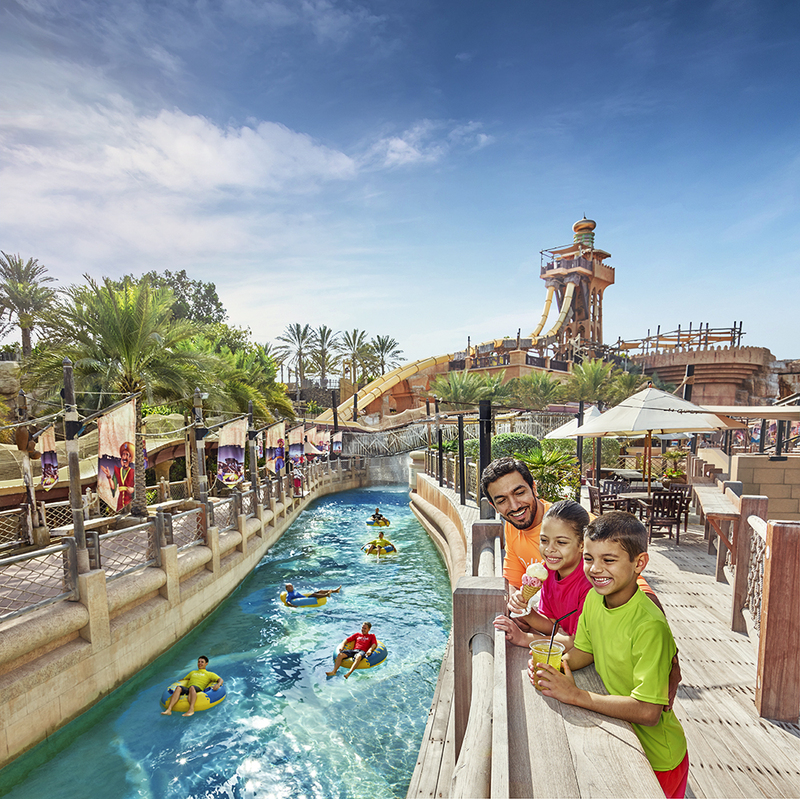 Wild Wadi Waterpark™ has won awards for technology, innovation and safety. This attraction is bound to be one of the highlights of your visit to Dubai! Wild Wadi Waterpark™ offers something for everyone to enjoy. If you feel like relaxing then you can chill-out and enjoy the waves of Flood River and the lazy river of Juha’s Journey. Adrenaline lovers will love the tornadoes of Tantrum Alley and the spiralling spins and splashes of Burj Surj. Enjoy a surfing experience with the Wipeout and Riptide Flowrider! There are also plenty of water activities for babies and toddlers to enjoy. The water is temperature controlled so that it is well suited to the temperature outside. Don’t forget to bring a towel, swimsuit and sunscreen to protect your skin against the sun of Dubai. Make sure to keep hydrated throughout the day. Outside food and drinks are not allowed in the park, but there are six restaurants available to chose from.